Ah, alarm clocks. Dreadful machines, really. They are the infernal noise that pulls us from the comforting embrace of slumber to join a world of lifeless abstractions. Strange pseudo-philosophical asides aside, seen below is the Chirp. Rather than start some noise and disturb you it vibrates your pillow until you groggily awaken. Don’t worry, because if that doesn’t work it will ring anyway. So much for vibrations. 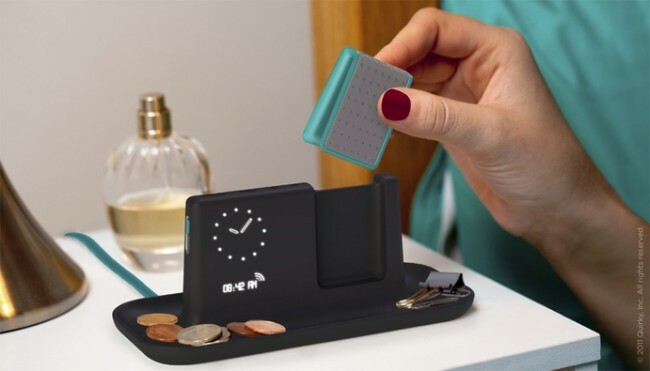 For best results, the clip-like Chirp that’s docked on its own Chirp-stand that has a clock enjoys some sort of connectivity and is clipped onto a pillow to produce its ‘chirping’ effect. Since its little more than a sleek concept at the moment, specifications are anyone’s guess. So is the Chirp a good or bad idea?